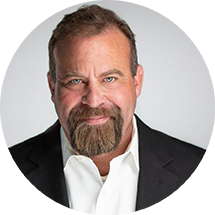 Lafayette, Colo., (April 10, 2019) – urban-gro, Inc., a leading agricultural solution and technology company that works with commercial cannabis cultivators around the world, announces the appointment of Mark Rawlings to the role of Vice President of Operations. In his role, Mark will manage the Company’s operational divisions, including customer service, procurement and freight logistics, warehouse and shipping, commissioning, and project management. experience, Mark is a design, commissioning, and construction expert. During his career, he has overseen the design, fabrication, installation, and coordination of complex mechanical, electrical, and plumbing systems for numerous large-scale projects. His portfolio includes some of the mountain west’s most high-profile public and private-sector projects including the Denver International Airport, the Aurora Gaylord Hotel and Convention Center, and the Salt Lake City Airport. ”Joining the urban-gro team during this pivotal time in the Company&#39;s history, I understand the importance of organized management in expanding operations. I am excited to be a part of this rapidly evolving industry and look forward to growing urban-gro’s presence as the leading agricultural solutions provider to the commercial cannabis market,” said Mr. Rawlings.